What are the Jaguar F-PACE Configurations? Drivers who choose the 2019 Jaguar F-PACE will enjoy superior sport performance in an SUV that offers much more than pure utility. Our breakdown of the seven new Jaguar F-PACE configurations highlights standard features and components that will revolutionize your drives around the Mason and Fort Mitchell, KY areas. Find out what each Jaguar F-PACE trim level has to offer, and then explore the Jaguar F-PACE lineup at Jaguar Cincinnati to find the model that’s right for you. Get Behind the Wheel at Jaguar Cincinnati! 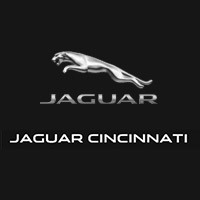 If you find yourself in the area near Lexington, KY and Columbus, then contact Jaguar Cincinnati today to schedule a test drive! We have a variety of models from white F-PACE to black F-PACE and everything in between. Once you’ve had the opportunity to experience the 2019 Jaguar F-PACE interior for yourself, you won’t be able to settle for any other luxury SUV. 0 comment(s) so far on What are the Jaguar F-PACE Configurations?